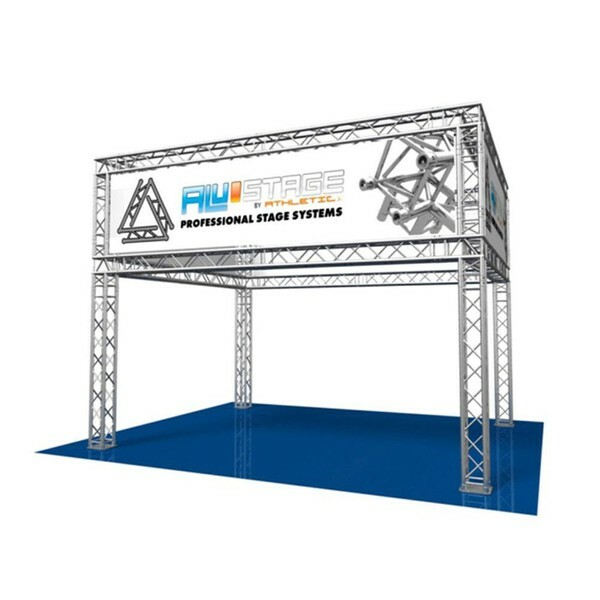 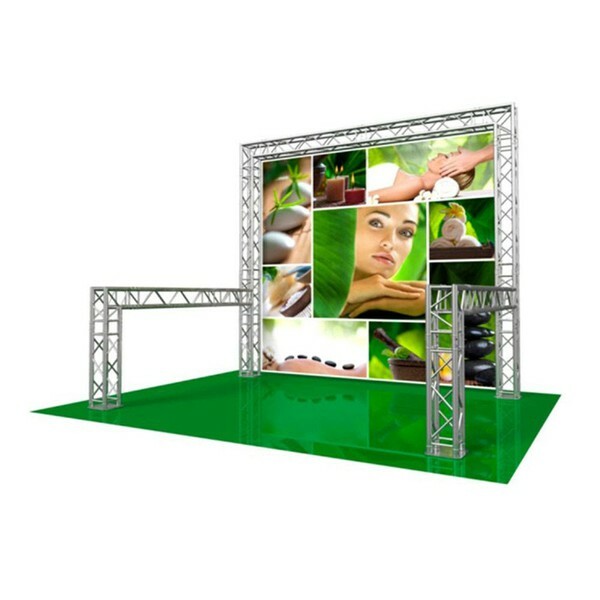 Stage Concepts have a large selection of pre-packaged truss exhibition stands and display booths. 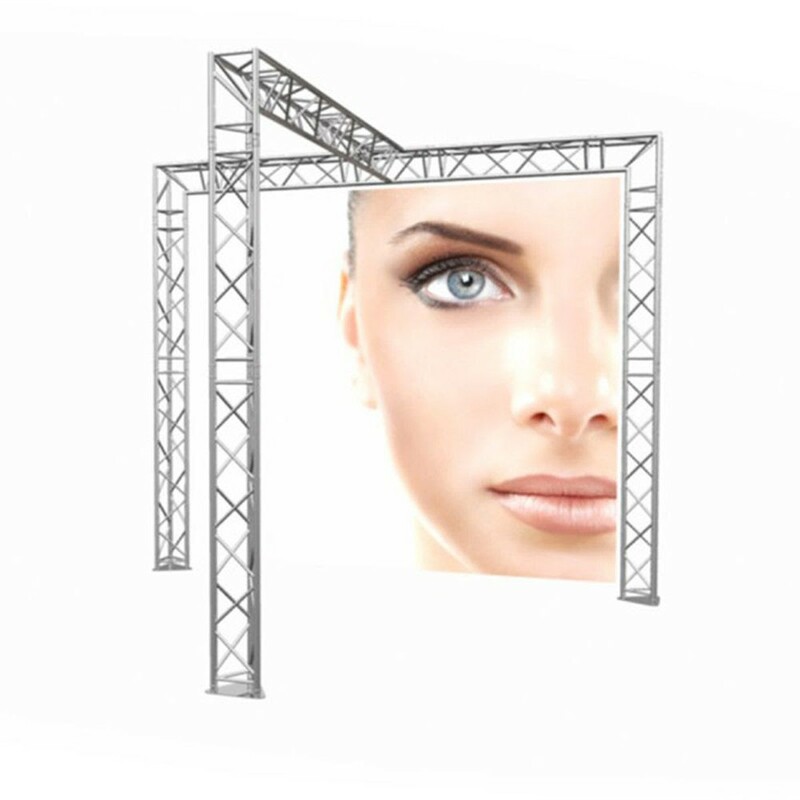 These are complete 'ready to go' systems from the Alustage truss range, which include all necessary fixtures and fittings. We also offer a full range of accessories for you to personalise your chosen system, from vinyl printed banners, display screens, lighting and smoke effects units, stage decks, stand furniture, drapes and curtains to full performance audio systems. 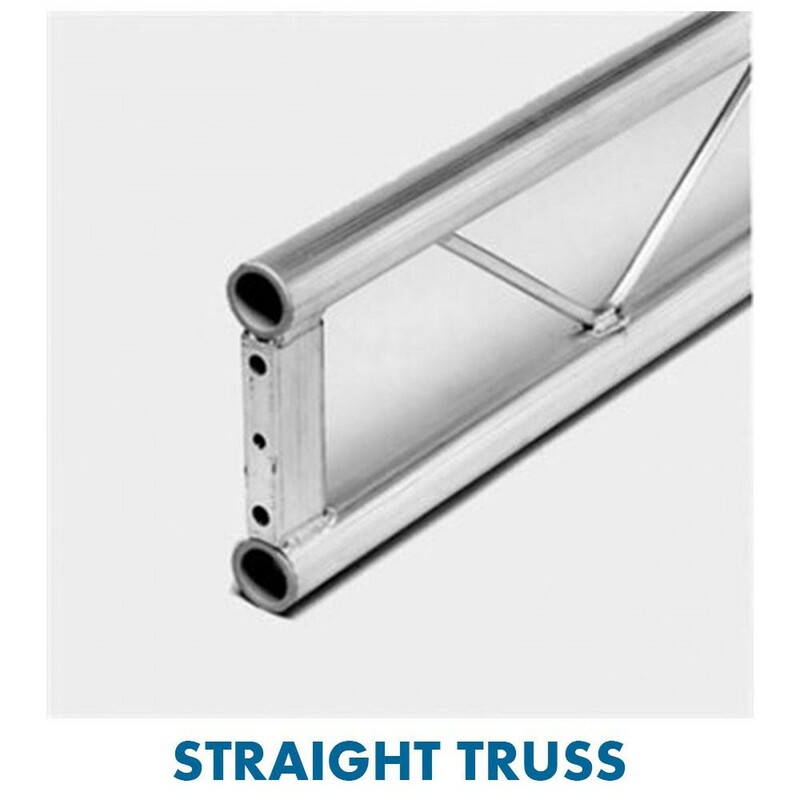 If a pre-packaged booth does not offer what you're after, we can custom design systems to your exact requirements through our UK truss manufacturer, so please call us to discuss your needs. 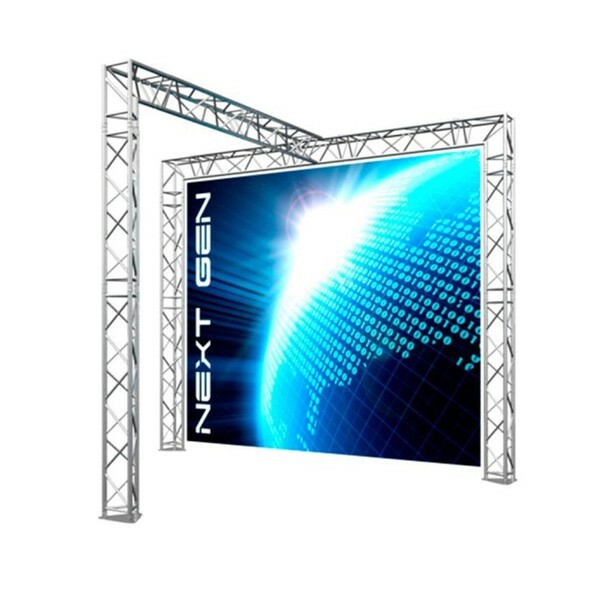 Prices start from just £1400 + VAT for a small exhibition stand package featuring professional 50mm pole diameter Truss. 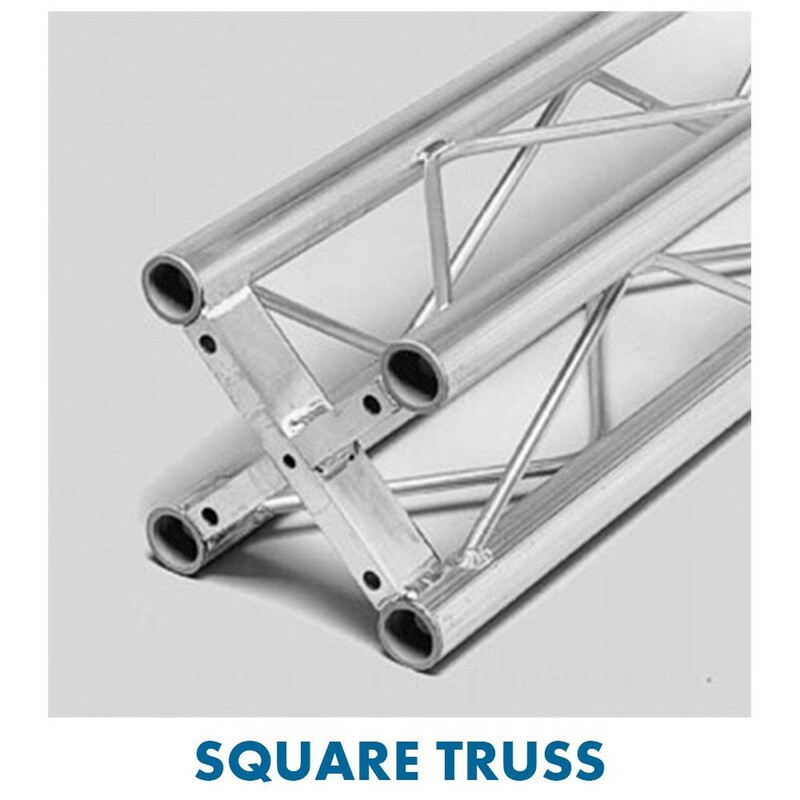 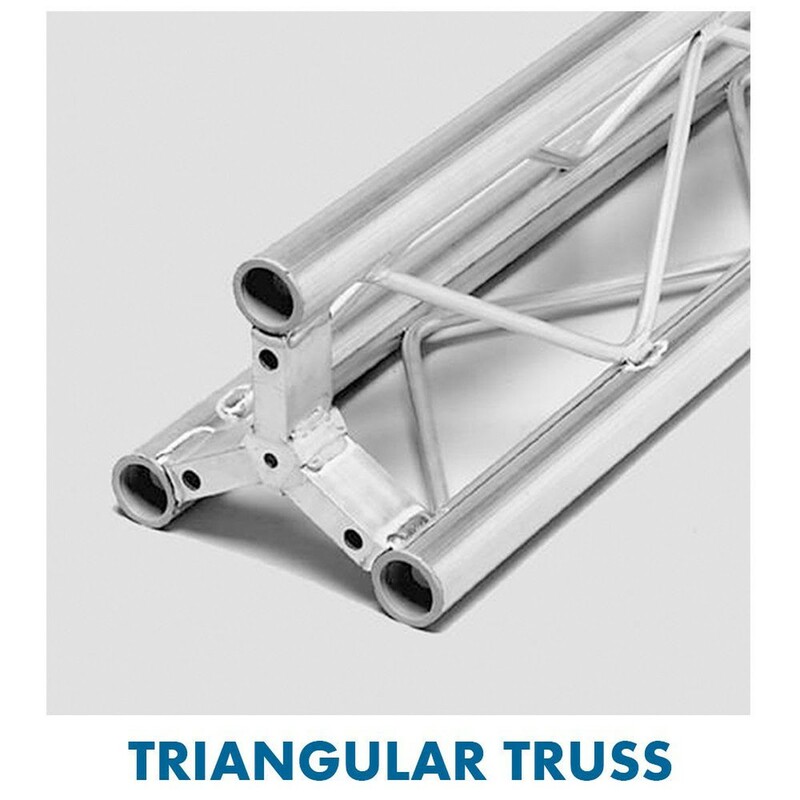 Depending on the stands design and sizing, it will either be Ladder Truss, Triangular Truss or Square / Quad Truss. 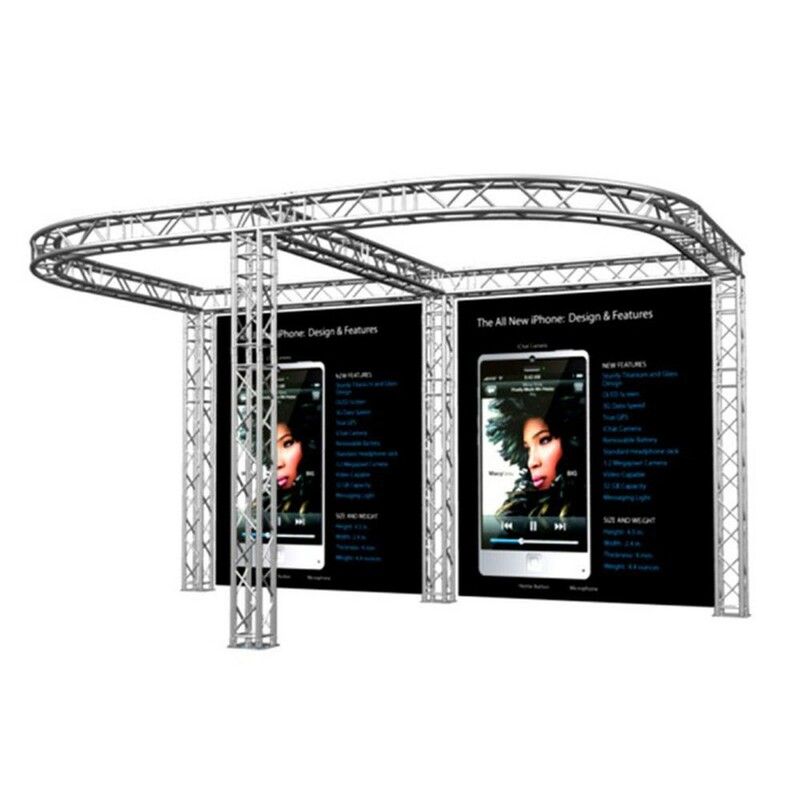 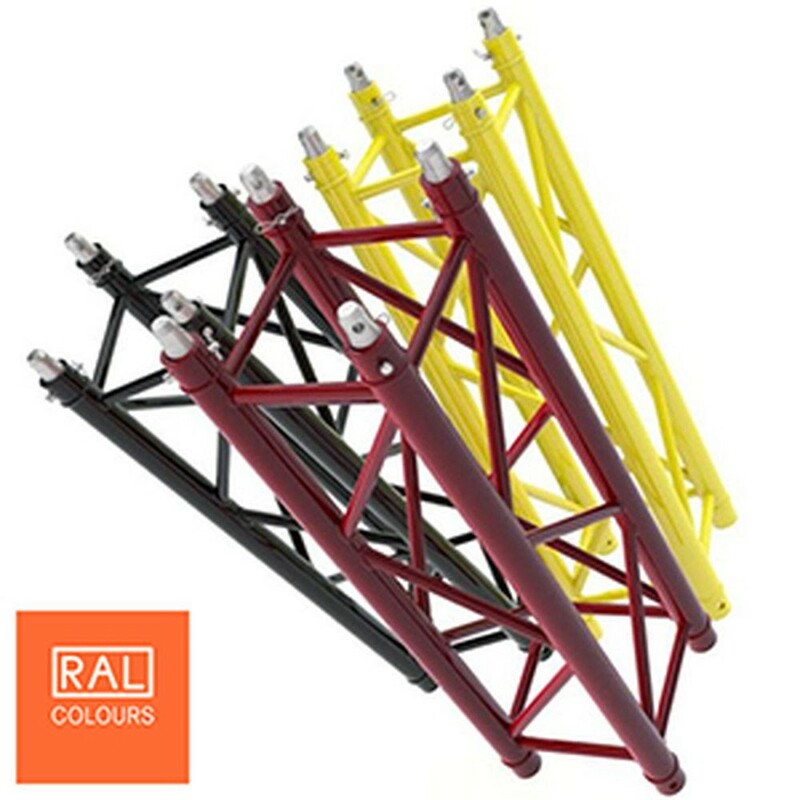 Packages are full specification professional truss not the lightweight Deco that many offer, and will support your lighting, display screens and banners without weight loading issues.